by John D. Morris, Ph.D. The book of 1 Timothy consists of various charges (1:18-19) to Paul’s disciple Timothy. The first charge (2:1-8) concerns prayer in the church. The fact that Paul mentions it “first of all” (v. 1) indicates that he felt it of primary importance. Note the four types of prayer in our text verse. Supplications, or perhaps petitions, referring to one’s personal needs: We must recognize our continued dependence on God’s provision. “The effectual fervent prayer [same word] of a righteous man availeth much” (James 5:16). Prayers: This is a general term with a number of applications, but foremost it indicates reverence for and worship of the one to whom the prayers are offered. “I will therefore that men pray every where, lifting up holy hands, without wrath and doubting” (1 Timothy 2:8). Intercessions: This word implies a personal bequest on an intimate basis, as child to father. The only other occurrence of the word regards the eating of food that “is sanctified by the word of God and prayer” (1 Timothy 4:5). Giving of thanks: When we give thanks, we recognize that our blessings are undeserved. “Blessing, and glory, and wisdom, and thanksgiving, and honour, and power, and might, be unto our God for ever and ever” (Revelation 7:12). 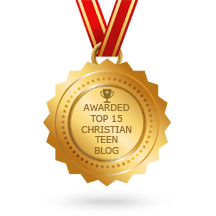 This entry was posted in A CLICK A BLESSING TODAY, CHRISTIAN FOUNDATIONS OF BELIEF, CHRISTIAN LIFE AND THE WORD, CHRISTIAN TAGALOG BLOGS, CHRISTIAN TEENS BLOGS, CHRISTIAN URDU BLOGS, SHARING STRUGGLES , Shaping Spiritual Solutions! and tagged intercessions, prayer for all men, rypes of prayer, supplications, thanksgiving. Bookmark the permalink. O pening our hearts to Him. T rusting Him to answer. Spigot: A device that controls the flow of liquid from a large container. Let it not be said later on that we were the ones who closed the tap of God’s grace for others.